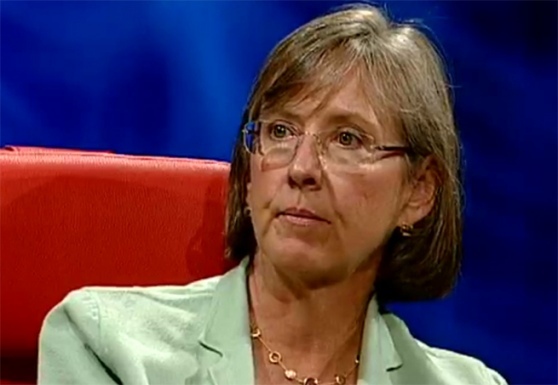 Venture capitalist Mary Meeker's Annual Internet Trends Report-2012 Hits The Online Business World.Mary Meeker has a submitted a annual report in last day of the last week.As it is widely reported this week,Meeker,partner at venture capital firm Kleiner Perkins Caufield & Byers,delivered her annual Internet trends report at the D10 Conference. 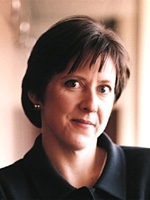 She made a persuasive argument for leaders to re-imagine nearly everything about their business in no uncertain terms.Meeker cited the following as her basis about the annual report-2012. The data continues to show transformative, behavioral shifts in technology adoption and connection.Of note:2.3 billion people are now globally connected by the Internet.There are 1.1 billion mobile 3G subscribers.Almost 30 percent of all US adults now own a tablet. Mobile is cited as source of 8% of all e-commerce. The addressable market cap for reinvention is pegged at $36 trillion.That’s the total market value of global public companies potentially disrupted by digitally-driven business models. She illustrates just how broadly things have changed thanks to digital infusion into,well, everything.Our lives are being fundamentally transformed by technology–including shopping, entertainment,education,job-hunting banking, and much,much more.But Meeker and her co-author Liang Wu emphasized the newness of all this, writing as they are still in spring training. While still early,the report signals warning signs about incumbent business leaders’ability to keep up with the scale and pace of these changes.Incremental adjustments typically seen among incumbents fly in the face of bold, imaginative actions that Meeker’s trends point to.That said,it’s also why you see companies and sectors in crisis often making the greatest leaps in imagination and innovation. Just look at what’s happening in the media,or more specifically,re-invention taking place in the news business.While business models are still evolving,media companies new and old are changing their product models almost by the day.In addition to social networks,upstarts like BuzzFeed,traffic-driving behemoths lead by Huffington Post,and incumbents such as Forbes, are re-designing the means to source,discover, experience and share content.The news sector is in a state of constant innovation. Beyond content,these same organizations are helping lead the way we find and consume information,driven by experimentation and understanding of social behaviors.In a recent Mashable story on social’s growing impact on search,Scott Havens,senior vice president of finance and digital operations at The Atlantic Media Company,claims their writers are not really thinking about SEO anymore.Bob Cohn, editor of The Atlantic Digital,backs that up.He stated that they are no longer writing to get the attention of Google algorithms.They are writing to get you to share it,to digg it…According to him that they are not writing for machines just writing for humans.Despite regular commentary that the media is dying,the numbers,digitally speaking,tell a different story.According to comScore,traffic to general news sites reached an all-time high in April. News media remain highly influential in shaping conversations and sharing in social media,some of the most progressive mentioned here have evolved into social super markets for news that engage readers in ways the traditionally-minded would be challenged to do. 7.The implications for business leaders:– specifically,marketers are clear on disruption is unavoidable.There’s a lot to learn from media reinvention,especially as brands become media companies themselves.The opportunities here are wide-open.As a brand do you have an always-on media presence?Is it compelling, socially-optimized,and engaging?Are you the center of gravity for conversations about your products,and(perhaps more importantly)relevant topics your brand should be associated with. The fact is that Mary Meeker's 2012 Annual Internet Trends Report-2012 approaches to business,marketing and communications are simply not enough for a digitally disrupted world.The future won’t be easy on those who simply strive to build a better mouse trap.If Meeker’s message plays out based on the trends, it will be lead by those who envision the catch in a totally different light.